How To documents with practical advices and detailed description for various Information Technology tasks. The articles are mainly focused on Small and Medium Businisses but they can easily apply to large businisses as well. Copy and Backup Utility Review – Robocopy or Xcopy, Which One? Robocopy or Xcopy Which One to Use? When to Use Xcopy and When to use Robocopy? If you need advanced features such as backing-up, type of copy and you want 100% reliability of the copy process then Robocopy (robust copy) is your choice. If on the other hand, you don’t have a complex copy job Xcopy will do it. Xcopy is part of the operating system, it comes with Windows, whereas robocopy needs to be copied from another system, or you need to install the Resource Kit. To put it more simple, xcopy is always available as the shell command “copy”. Why not use the shell command copy then, is the next question. Because “copy” is just too minimal and cannot accomplish what the other two can. It only copies files and not directories with the afferent directory structure. It cannot copy attributes and ACLs. In contrast, the other two file copy utilities are featured in such way that they can be easily used as backup systems if the correct options are setup. In conjunction with the scheduler and using a batch script this can be a powerful backup solution that is both inexpensive and flexible. The features of Xcopy and Robocopy are: selective attributes replication, ACLs can be maintained or not for the files copied, ownership can be copied or not, folder structure replication, fully automation, archive attribute support – which makes it a real backup utility, file exclusion option, verification of the copied files, performance tuning. What are the differences between Xcopy and Robocopy? The most annoying thing about Xcopy is that you can’t use the network restartable mode if you copy ACls. Isn’t this annoying? For me this was enough of a reason to install the Resource Kit and get the Robocopy immediately. But wait, the list doesn’t stop here. It can be used to copy only new or changed files, it can use the archive bit, as any good backup software would. If the target directory is enabled for compression, it can save space as well. Another application of Robocopy is during migrations or server upgrades. Because sometimes migrations or server changes are time sensitive, we need to copy as much as possible before switching to the new server. This where Robocopy comes in handy. You start the mirroring ahead of time, so all the files are copied. When the time of switching is close there are only minor changes to be done so the operation is very fast. The key options for this applications are: robocopy /MIR to mirror the directory, robocopy /MON:n to MONitor the source and run again when more than n changes occur and robocopy /MOT:m to MOnitor source and run again in m minutes Time, if changed. Another neat application is to archive files that haven’t been used in a given period. This command moves files that haven’t been used in 500 days, in restartable mode, copying the attributes, the file’s owner, and the ACL, excluding older files. Another cheap, (free), utility is xxcopy. The utility competes with Robocopy, has versions for both 32 bit and 64 bit OS, and has more command switches. However, this isn’t a free program for businesses, it is free for for personal use though. 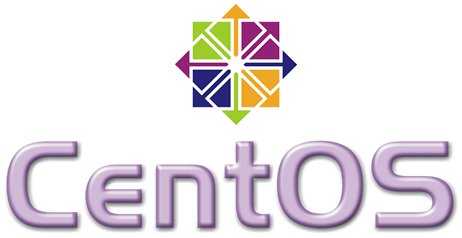 Centos Network Configuration – is very simple on a full installation. However, I downloaded the Centos’ “Minimal Install” cd and used yum to install various packages I needed. Tool (system-config-network), which is a graphical interface to edit the configuration files. Since I haven’t installed this tool, I needed to edit the files manually. A quick way to see if your interface works and if you can ping internal resources. Note that this is not persistent, at the first reboot, ot first network services restart this will be lost. This configures your interface with the IP 192.168.0.2 and the netmask 255.255.255.0. For more info about Centos’ network configuration look here: . Name resolution configuration, is more consistent across various Linux distributions. Most of the Linux distros will have the configuration file at /etc/resolv.conf. Scalix is now a mature email server, reliable and powerful, that can accommodate environments with thousands of users. Most of the tasks can be accomplished using the web interface, which is a nice and intuitive interface. However, not all the tasks needed for a day to day administration are available from the web interface. Here are some command line Scalix administration commands for the daily use as an email administrator. This should give you the location of the user folder similar to this "~/user/g000038". Go to /var/opt/scalix/ll/s/user/g000035 (in our case) and remove the "imap-cache" directory then restart the imap server (users will get logged off). Ask the user to log off!!! AND to stay logged off until you finish!!!! View the process associated with that user: ps -ef | grep 55003 Where 55003 is the user id. Check the ldapmapper and make sure it’s working. Check the sendmail daemon – make sure it’s working. If you don’t see them, restart the service. Sometimes you need to create your own script for starting sendmail, instead of using the one that comes with the distribution. Service router queue, Internet Mail Gateway queue, Local Delivery queue. stop scalix normally, start scalix normally. w refers to the wastebasket (Deleted Items folder). l refers to the List Area. r refers to the Scalix Recovered Items folder. omtidyu -B -u “User Name” -d -k -T i -t “I Love You” removes all message with the subject. This could be tricky if you want to get the inactive mailboxes, since you won’t know the status of the redirected mailboxes. Move users to other mail-nodes. Note that you don’t need to specify your node if the user is in the default node. –o is old –n is new.